This study is based on secondary analysis from a sample of individuals attending colleges in the United States. It is an examination of links between childhood victimization and subsequent depression. An assessment of the effect on depression of intra- and extra-familial victimization was made to identify the means by which each affects depression. It was hypothesized that victimization affects subsequent depression through its damaging impact on the development of social resources and personal resources, including family support, peer support, self-esteem, and mastery. It was hypothesized that the importance of each mediator in explaining the link between victimization and depression differs by the type of victimization experienced. To test these hypotheses, a series of hierarchical regression analyses were performed. Findings indicate that victimization by non-family is related to depression independent of victimization by family, but victimization by family is not related to depression independent of victimization by non-family. The resource variables demonstrated disparate mediating influences; each produced a different sized reduction in the strength of relationship between extra-familial victimization and depression. LaNoue, M., Graeber, D., Urquieta de Hernandez, B., Warner, T.D., & Helitzer, D.L. (2012). Direct and indirect effects of childhood adversity on adult depression. Community Mental Health Journal, 48(2), 187-192. Brown, G. R., & Anderson, B. (1991). Psychiatric morbidity in adult inpatients with childhood histories of sexual and physical abuse. American Journal of Psychiatry, 148, 55-61. Sugaya, L., Hasin, D. S., Olfson, M., Lin, K. H., Grant, B. F., & Blanco, C. (2012). Child physical abuse and adult mental health: a national study. Journal of Traumatic Stress, 25(4), 384-392. Brown, J., & Cohen, P. (1999). Childhood abuse and neglect: Specificity of effects on adolescent and young adult depression and suicidality. Journal of the American Academy of Child and Adolescent Psychiatry, 38, 1490-1497. Crittenden, P. M. (1998). Dangerous behavior and dangerous contexts: A 35-year perspective on research on the developmental effects of child physical abuse. In P. K. Trickett & C. J. Schellenbach (Eds. ), Violence against children in the family and the community (pp. 11-38). Washington, DC: American Psychological Association. Finkelhor, D. (1997). The victimization of children and youth: Developmental victimology. In R. C. Davis, A. J. Lurigio & W. G. Skogan (Eds. ), Victims of crime (pp. 86-107). Thousand Oaks, CA: Sage Publications. Horn, J. L., & Trickett, P. K. (1998). Community violence and child development: A review of research. In P. K. Trickett & C. J. Schellenbach (Eds. ), Violence against children in the family and the community (pp. 103-138). Washington, DC: American Psychological Association. Finkelhor, D. (1994). Current information on the scope and nature of child sexual abuse. The Future of Children, 4, 31-53. Turner, H. A., & Butler, M. J. (2003). Direct and indirect effects of childhood adversity on depressive symptoms in young adults. Journal of Youth and Adolescence, 32, 89-103. Turner, R. J., & Roszell, P. (1994). Psychosocial resources and the stress process. In W. R. Avison & I. H. Gotlib (Eds. ), Stress and mental health: Contemporary issues and prospects for the future (pp. 179-212). New York: Plenum. Turner, H. A., Shattuck, A., Finkelhor, D., & Hamby, S. (2015). Effects of poly-victimization on adolescent social support, self-concept, and psychological distress. Journal of Interpersonal Violence, 30(10), 1-26. Radloff, L. (1977). The CES-D scale: A self-report depression scale for research in the general population. Applied Psychological Measurement, 1, 385-401. Turner, R. J., Frankel, B. G., & Levin, D. M. (1983). Social support: Conceptualization, measurement and implications for mental health. In J. R. Greeley (Ed. 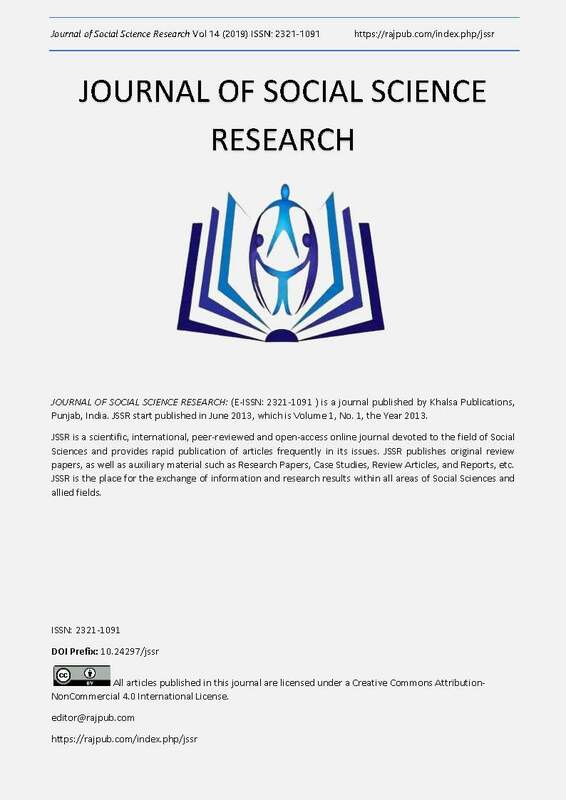 ), Research in community and mental health, vol. 3 (pp. 67-110). Greenwich, CT: JAI Press. Weiss, R. (1974). The provisions of social relationships. In Z. Rubin (Ed. ), Doing unto others (pp. 17-26). Englewood Cliffs, NJ: Prentice-Hall. Chen, Z., & Kaplan, H. B. (2003). School failure in early adolescence and status attainment in middle adulthood: A longitudinal study. Sociology of Education, 76, 110-127.